We know you’re excited that spring is finally here—so are we–but before you embark on the 1st camping trip of the season, it’s important to make sure you dewinterize your RV the right way. If you don’t, you could find yourself in a tough spot. Don’t risk it; It won’t take that long, we promise. Ready? Inspect these 5 essential parts of your RV before you do anything. 1. Batteries: Are They Fully Charged? If your RV has been in hibernation for awhile, then there’s a good chance that they’ve lost a considerable amount of juice. In fact, batteries tend to discharge up to 10% a month while in storage. If you did not check your RV’s batteries regularly while it was in storage, don’t sweat it. Just make sure to charge it fully now. If you’re using lead acid batteries, add distilled water. Remember that this rule only applies to acid lead batteries;if you are adding distilled water, only do so after the batteries are fully charged. 2. Water System: How Clean Is Your Water? 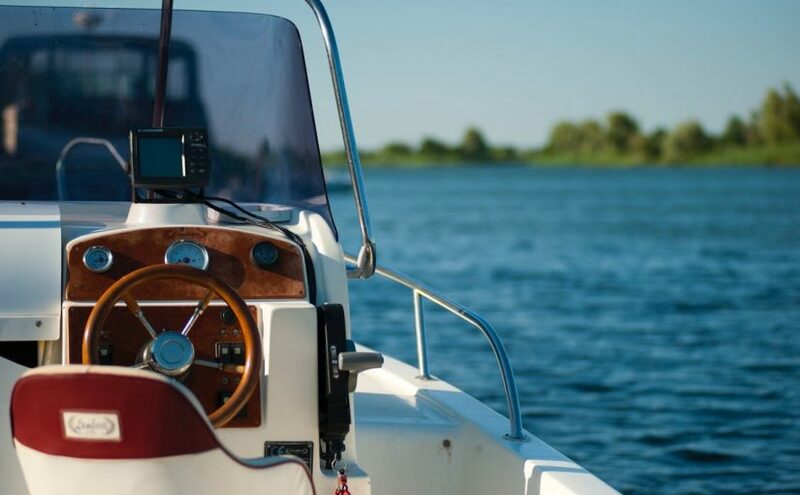 Whether your RV was dewinterized with non-toxic antifreeze or not, you should empty the fresh water holding tank and flush the entire system with clean water. To do this, bring a bucket of water from your house, add it to the fresh water holding tank, turn the water pump on, and open all of the fixtures. Let the water run for 15 – 20 minutes. This will ensure that your system gets a thorough cleaning. 3. Plumbing: Got Any Leaks? The last thing you need on your upcoming road or camping trip is an annoying leak. That’s why before heading out for the spring, you should pressurize the water system by letting your pump run until it shuts off. If the water pump automatically turns back on, there is a leak somewhere. 4. Exhaust System: Is Your Generator Working Properly? We recommend running your generator periodically while its in storage, but if you didn’t do that this time around, don’t worry. The goal here is to see if your exhaust system has suffered any damages. Check for damages before starting the generator; never run a generator with a broken exhaust system. If you don’t see any glaring issues, start the generator for about 2 hours with at least a half-rated load. Consult your generator’s owner’s manual for load ratings. If the generator won’t start, or you hear any kind of knocking noises, shut it down immediately, and contact a repair professional. 5. Tires & Safety Devices: Are You Prepared For The Worst? Your tires will have lost a considerable amount of pressure when you remove it from storage. Before driving anywhere, make sure that all tires–including the spare–are filled to the correct PSI. Similarly, you should check to ensure that your smoke detectors, carbon monoxide detector, and fire extinguishers are working properly. While fall is just beginning and winter seems very far away, it’s really right around the corner. And while many travel south to avoid the freezing weather, many RV owners choose to store their RV for the cold months. If this is you, there are a few things to do to protect your ride. Here are some steps to take to get your RV ready for winter and ready to be stored. You’ll want to prepare your plumbing from freezing which means draining all the tanks, draining the water heater, and draining the fresh water. If your RV has a washer/dryer and ice maker, you will also want to follow the manufacturer’s steps to protect those appliances. You will then want to use an RV antifreeze or air pressure to blow out all the remaining water. Antifreeze is the surest method to guarantee that your pipes will not freeze. There are a few options when it comes to the RV battery. If you’re not storing the RV in a location where AC power is available then it’s best to take the starting battery out and store it in a place where it won’t freeze. A discharged battery is more likely to freeze than a full one so if possible, charge it about once a month. 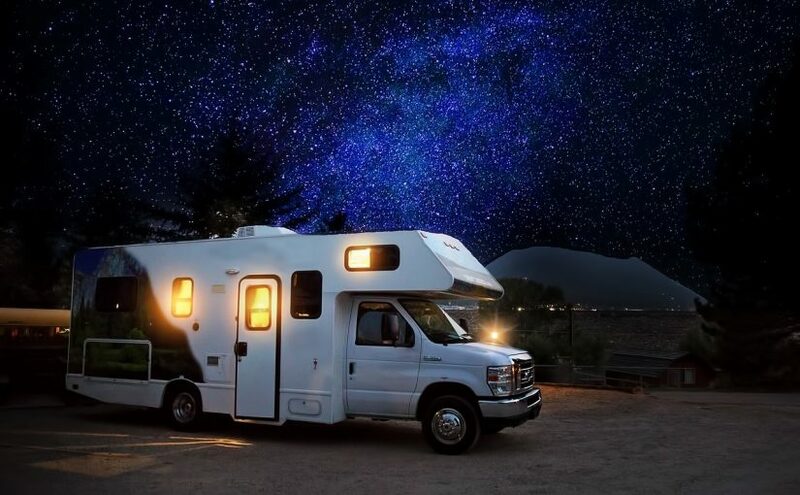 If you don’t wish to disconnect from your RV, then it’s important to disconnect them. This will help keep the battery from draining. Again, you will want to top off the charge about once a month to help it from freezing. While it may seem a bit strange to fill your RV up with gas before storing it, it will help prevent condensation in the tank. As for the oil change, used motor oil contains acidic compounds that can cause corrosion and damage inside the damage. Most importantly, use a portable garage to store your RV. While it may be tempting to just throw a tarp over your RV, the plain plastic allows moisture to build up which means bad news. A portable garage, made of heavy-duty structural steel frames, can withstand heavy winds, rain, and snow. Plus, when you’re not using them for your RV, they also double as a storage space for your equipment, tools, tractors, etc. There are so many storage options for your RV’s and other toys. Ready to buy? Have questions? Contact us at Portable Garage Depot and we can answer any questions that you might have! Many families enjoy spending the summer months traveling across the United States in a camper or RV. This can be a fun way to relax, spend time together, and see many of the sites and attractions the country has to offer. If you have spent the summer traveling in a camper or RV with your family, you want to keep your vehicle in good condition so you can enjoy it again in the future. Even though RVs are large, they can become damaged by weather and intense sunlight just like other vehicles. This is why it is important to protect your RV when it is not being used. The best place to store a camper or RV is in a garage, but many typical garages are not tall or wide enough for these large vehicles. 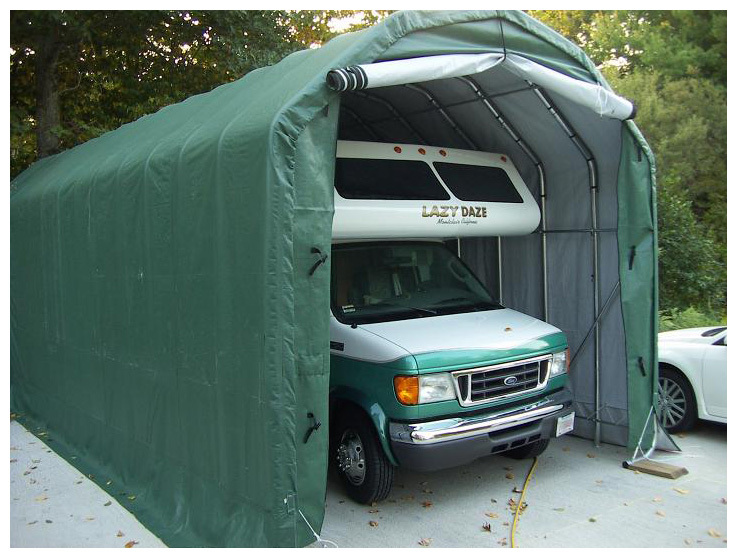 If you cannot fit your camper or RV in your garage, there is another alternative that can keep it protected from the weather. You can buy a portable garage from Carport Depot and set it up in your yard. A portable garage is an excellent place to store a camper or RV in the off-season. It can provide protection from rain, snow, and the sun’s UV rays so your camper will be in good condition when you are ready to use it again next year. 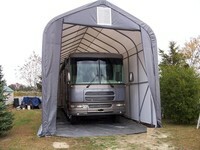 Our portable garages for RVs are designed to be strong and durable. They are made from heavy-duty steel frames that can stand up to all kinds of weather, including rain, snow, and strong winds. The polyethylene cover will protect your RV from precipitation and the sun’s UV rays that could cause the paint to peel, crack, or fade. We offer portable garages in a variety of sizes to suit any RV or camper. If you have a camper or RV that you enjoy using with your family during the summer, you need to protect it when it is not being used to keep it in excellent shape. This can help ensure that you will be able to use it to enjoy spending quality time with your family for many years to come. Order a portable garage for your camper or RV from Carport Depot today. Many people enjoy spending the summer in an RV at a campground or taking a trip across the country, but when cold weather arrives, it is time to store the camper. A portable storage building offers all-weather protection for your camper or RV. Our camper storage buildings come in a variety of sizes to fit any type of RV. They can also provide protection for other vehicles, including cars, trucks, motorcycles, and ATVs. Our portable storage buildings are constructed with high-quality powder-coated or double-galvanized steel frames for strength and sturdiness to stand up to even the harshest weather. The frames bolt together for easy assembly. We offer several design styles to match your individual storage needs. You can store your camper in a Quonset round style shelter, peak style, or truss building. Round storage shelters allow rain and snow to run off easily, keeping your camper or other vehicle dry and reducing the amount of weight on the cover. If you choose a peak or house style building, you will have a high center and additional space on the sides to have access to your camper. A large truss style portable building offers the greatest amount of storage space. All of our portable storage shelters are covered with heavy-duty material designed to withstand the elements. Our covers are made of UV-resistant, fire-retardant, rip-stop polyethylene material with heat seam construction to provide the best protection for your valuable camper or RV. If you own a camper, you want to protect it from harsh winter weather so that you will be able to enjoy it again next summer. Now is the time to begin thinking about how you will store your camper once the weather turns cold. Why Select a Rounded Portable Garage for Winter? Anyone seeking out a portable building, either for the first time or again after several years, sees three basic types of models on the market: standard peak frames, barn style, and rounded. Out of these, why would a rounded design particularly benefit a homeowner? Although a very obvious characteristic, the rounded surface is more than a streamlined form: Specifically, it allows precipitation to roll down. When a few feet of snow are expected to fall, it’s better for accumulation to occur on the ground, instead of on top of a shelter. Too-heavy accumulation, especially with some of the major storms experienced in the Northeast, could result in collapse. Snow’s not the only weather-related concern, of course. Winters often see rain pour and then freeze. Similar to reducing snow accumulation, ice is far better on the ground than bearing its weight on the polyethylene and metal design of your portable garage. Winter is one of those times a homeowner puts an RV or boat in for storage, where it remains for at least six months. Rather than modify a peaked valance shelter with side walls and door panels, rounded portable garages already come equipped with such characteristics. Beyond the front and back panels, a polyethylene cover arches from one side to the next, providing just the right level of protection to keep out harmful moisture and UV rays. 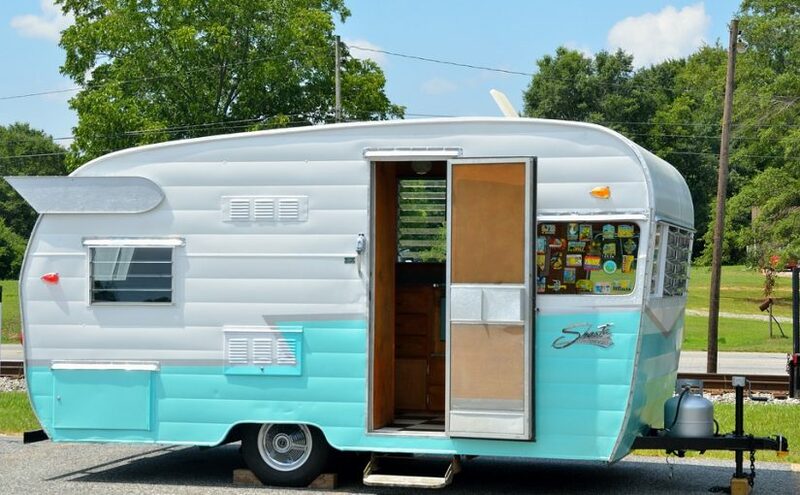 For the buyer, the rounded frame comes in a choice of helpful configurations: Some large enough to accommodate an RV’s height, and others long or wide enough to house two or more vehicles front-to-back or side to side. In both and more instances, the right height, width, and length with an ideal shape can be found before winter begins officially. 1. Follow the weather. Is your region rainy, snowy, or dry in winter? This essentially determines the style of building right for your needs. If you expect heavy precipitation, select something with a rounded design. If you’re simply looking for coverage and don’t expect several feet of snow, consider the traditional peaked building. 2. Determine length of usage. Is the shelter something you’ll set up for a few months at a time, or will it turn into a versatile building kept up throughout the year? As a general rule, always opt for a stronger frame for year-long use: That may be a galvanized steel structure, or one with square tubing. 3. How much space? How many vehicles will be kept underneath? Before you browse, calculate the length, width, and height for every vehicle and investment in storage and add a few feet around each side. Once you have this figure, you’re ready to find the right fit. 4. Select a set of anchors. 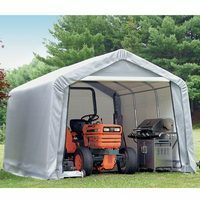 If you haven’t figured it out already, portable garages need to be anchored into the ground to live up to their full potential. Select a set of anchors that will effectively keep the structure in place on the ground below. 1. Enclose it. 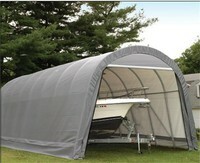 If your shelter is a valance carport used throughout the year, find sidewalls and panels to give your boat or RV full coverage. 2. Check connections. If any metal parts or connectors are experiencing rust or the powder-coating is chipping off, find a suitable replacement part to repair the shelter. 3. How’s the canopy? The polyethylene cover tends to go sooner than the metal frame, so if spots now appear worn or display holes, order a replacement canopy before the vehicle needs to go in storage. Portable garages are a like a Jack of all trades. No matter what your storage needs are, there is a portable garage that you can use. Portable garages come in so many different styles and sizes to provide for a wide range of applications. 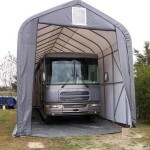 There are portable garages that can store a car, truck, RV, equipment, animals, and much more. There are portable garages that are designed specifically for storing cars and trucks. They come in many different sizes to fit anything from a Mini Cooper to an Escalade. You can also choose from rounded, barn, or house style portable garages. If you need to store more than one vehicle, you can get portable garages that are up to 30 feet wide. Whether you need daily storage for a vehicle you use every day or want to store all winter long, a portable garage is a great way to protect your vehicle from the outdoor elements. If you have an RV, camper, or boat, a portable garage is a great place to store either when you are not using them. The sun’s harmful Ultraviolet rays will damage and fade the paint on any of these investments. Protect them from the sun by parking them under a portable garage. In the winter, a portable garage is a great way to keep your RV, camper, or boat from being exposed to the elements. If you own a farm or have a lot of equipment, you can store them daily inside a portable garage. Easily store and remove any of your equipment and protect them when you are not using them. Rain and snow can cause rust or mildew build up. Protect your investment by storing them inside a portable garage every day. ATVs and dirt bikes can deteriorate over time if you do not upkeep them. Storing them outside can be detrimental to an all-terrain vehicle, dirt bike, or even motorcycle. Give them protection from the elements with special smaller portable garages that are designed to house such items. Do you have animals at your home or farm? 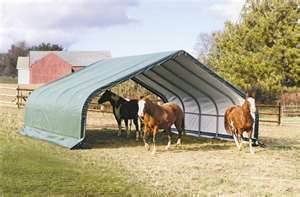 Use a portable garage designed as an animal shelter to give your horse, livestock, or pets a place to be protected from the elements. The animal shelter portable garages will provide shade and a place to stay dry. Treat your animals right and have an animal shelter set up on your property. As you can see, portable garages can prove beneficial in a number of applications. Feel assured that your investments are stored safely with a portable garage. Affordable, reliable, and multi-functional, a portable garage is a great addition to any property. Carports are certainly used to house cars and other vehicles such as trucks, bikes, boats, and trailers. However, a carport can also be used for flexible storage and recreational purposes. These dynamic structures are easy to install, easy on the budget, and provide awesome shelter from UV rays and precipitation. 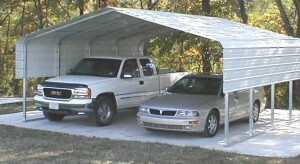 In addition to protecting vehicles, a carport can be used to provide extra storage space from time to time. Whether you are moving furniture, conducting a thorough spring cleaning, or making room for company, many items can be temporarily housed under the canopy. A carport is also a great place to give pets a place to relax shielded from cold rain and hot sunshine. You can even hang your wash out to dry under a carport. Carports can be used as a place for children to play and adults to entertain guests. In case of inclement weather, the canopy prevents rainfall from spoiling a good time. When the sun is shining, people will appreciate the shady refuge. Arts and crafts projects, picnic tables, music, dancing, and more can be conveniently enjoyed under the protection of a carport canopy. A canopy can be placed over a patio, in a yard, or over a driveway to create a comfortable space to hang out and enjoy fresh air and good company. For handy people, carport kits are easy to assemble and install. With the assistance of a few similarly inclined cohorts, a carport can be installed in very little time. These crafty characters may also appreciate the shelter provided by a carport to work on repair, DIY, and hobby projects. Carports may be attached to the side of a building or installed completely free standing. 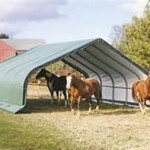 You may choose a metal or heavy-duty poly canopy carport. These structures may be constructed with enclosed sides or left open-sided. These are great as garage alternatives or in addition to a garage for added shelter and minimal expense that is adaptive to many purposes.